I am finishing up my first week at Rackspace and learning quite a bit about our culture, both cognitively and experientially. 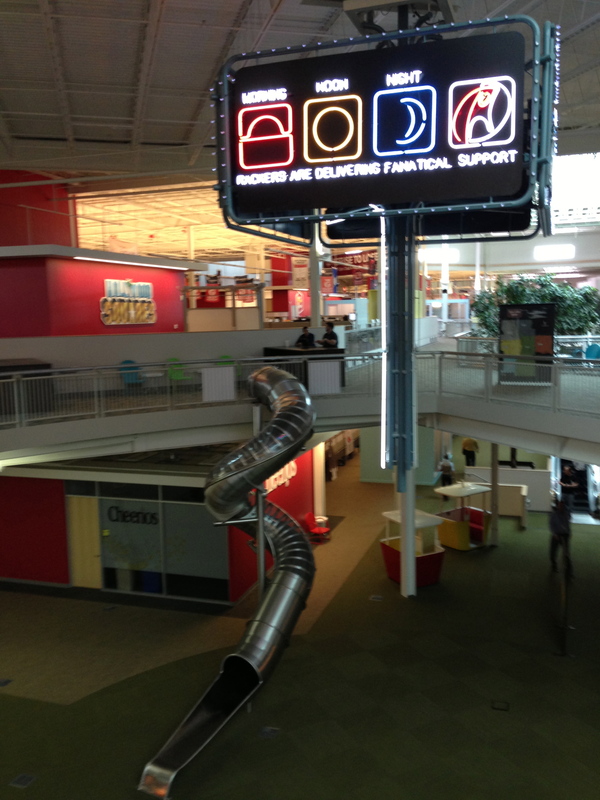 For example, not only are Rackers encouraged, in every meeting, to take risks in our jobs but we are encouraged to do so getting around Rackspace headquarters in San Antonio, also known as the Castle. The other things I am learning, through training sessions, interactions with fellow Rackers, and participating in external and internal meetings, are the benefits of partnering with Rackspace to implement a Private Cloud. I was gratified to see that these benefits reinforced what I believed as well and some of the reasons I chose to go with Rackspace. I will keep the list brief in this blog post since each item probably deserves its own post; but as I am writing on the way home from Austin, here are a few benefits to consider. Hybrid and Federated Clouds – Increasingly, both pundits and end-users are talking about leveraging a Multi-Cloud strategy. This can take the form of Hybrid Clouds, which leverages both Private and Public Clouds. The use cases include bursting workloads from a Private to a Public Cloud during times of heavy usage, using a Public Cloud as DR target for a Private Cloud, and moving workloads to a Public Cloud for the purpose of disaster avoidance. Multi-Clouds can also take the form of what I call Federated Clouds, where multiple combinations of Public and Private clouds can be managed from a single dashboards and workloads can be moved between all the “member” Clouds as needed. These use cases provide users with flexibility, agility, and potentially CapEx savings as they begin to leverage the Multi-Cloud framework. Rackspace recently announced our Global Cloud Network initiative to link together multiple Public Clouds, all of which are running instances of the Rackspace Public Cloud, which itself is based on OpenStack. As this takes hold, I can envision Rackspace taking the lead in providing Multi-Cloud capabilities by linking together not only OpenStack-based Public Clouds but OpenStack-based Private Clouds. I am beginning to hear this more frequently as well from customers who are looking at implementing a Private Cloud but are concerned about both the lack of in-house expertise and the need to realize quicker time to value. Based on years of experience operating the second largest Public Cloud in the world and the largest OpenStack-based Public Cloud, Rackspace is able to help customers build and manage their own OpenStack-based Private Cloud, leveraging tested best practices and processes. One example is the decision that Rackspace made to skip Quantum networking, until the Grizzly release, in both our Public and Private Cloud offerings. That decision was made because the Folsom release of Quantum lacked HA capabilities, which we deemed necessary for a production Cloud, again based on years of real-world experience. 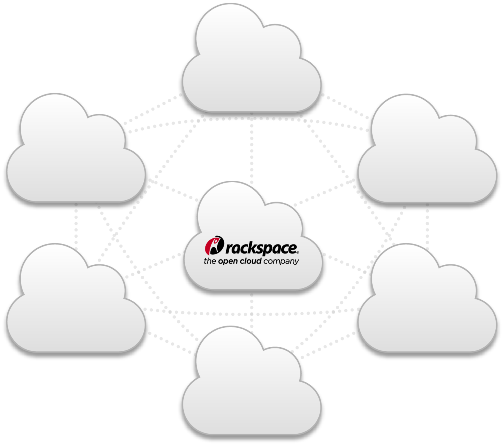 Rackspace is able to package and deliver that level of Cloud management experience and expertise in numerous ways, including hosting a secure instance of a customer’s Private Cloud within the Rackspace Public Cloud, managing a customer’s Private Cloud on customer premises, or perhaps delivering a Private Cloud via a Build, Operate, and Transfer model. This is something that few if any other OpenStack vendors can claim, or many other Cloud vendors, for that matter. Service Provider Experience – Related to but not equivalent to Cloud provider experience is Rackspace’s decade-plus experience as both a managed hosting and a Cloud provider. If you believe, as I do, that Cloud Computing is not primarily about a particular technology but an operational and service delivery model, then the purpose of implementing a Private Cloud is to deliver IT as a service to the Business. Partnering with Rackspace provides customers access to years of experience in running a service provider business that delivers theses services via a Cloud Computing model. We can bring that experience to bear in all our customer engagements, helping them to not only implement IaaS-enabling technologies such as OpenStack, Chef, Puppet, etc., but applications such as Oracle, MongoDB, Hadoop, etc., and ITaaS-enabling processes such as Continuous Delivery and DevOps. Again, few others can bring that type of experience into a Cloud consulting engagement. So am I ready to say game over and declare victory for Rackspace? Of course not! But I am looking forward to competing with other vendors in the OpenStack community and certainly belive we have the edge in that contest. And I am also looking forward to working with the same competitors to enrich the OpenStack community of users and vendors.